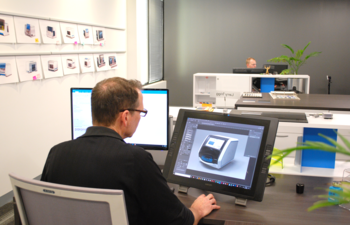 Our product development group is made up of highly creative and exceptionally skilled engineers who are passionate about designing and building medical devices and life science instruments. Our work encompasses everything from flow cytometers to blood-based diagnostic tools to automated digital pathology systems. 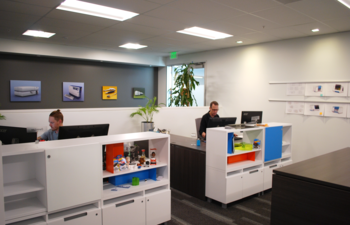 In Paramit’s fast-paced, high tech environment, there is plenty of opportunity to continually grow and learn – all while providing new, life-changing products and solutions to an ever-expanding health and scientific community. Since Paramit offers both design and manufacturing services, we are uniquely positioned to follow a product’s entire life cycle, from concept through production. Not only is it rewarding to track a product from start to finish, it’s also advantageous in other ways. 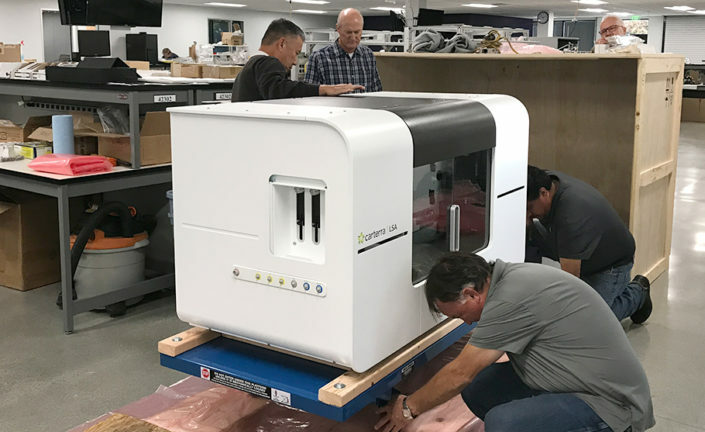 Paramit’s “transfer-less” process brings manufacturing into the creative process early, making the handoff from design to manufacturing seamless. As a result, our time-to-market is substantially shortened. We work hard to excel at what we do, but we also know how to have fun and to enjoy each other’s company. It’s not uncommon to see Paramit employees going on a lunchtime bike ride, participating in a game of ping pong or hanging out together after work. We place a high value on our professional relationships, which shows in Paramit’s friendly and relaxed atmosphere where our employees feel comfortable to collaborate and work their best together. As the Director of Mechanical & Systems Engineering within Paramit’s Product Development Group, you will lead a team of Mechanical Engineers, Optical Engineers, Consumables Engineers, Systems Engineers and Product Development Engineers responsible for the design and development of life science instrumentation, diagnostic tools and point-of-care devices, as well as their associated consumables/cartridges. 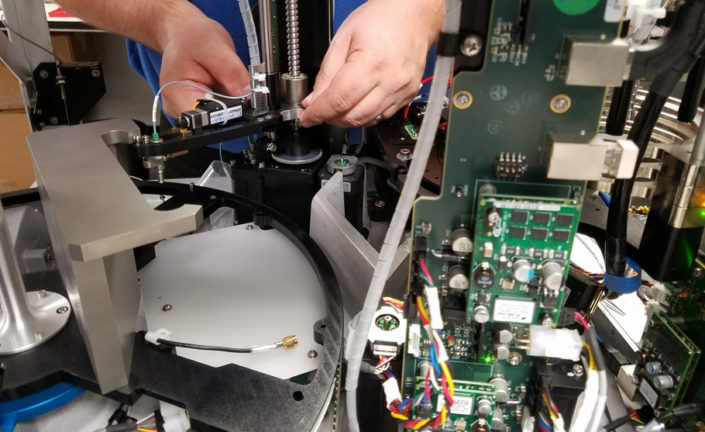 The Mechanical Engineering Group owns several critical aspects of every project such as mechatronics, fluidics, disposable cartridges, pneumatics, thermal control, optics, chassis and enclosures. As a product development firm, our primary focus is to help our clients develop and commercialize cutting edge technology and products. Our clients range from young start-ups to well-established companies. Projects are typically fast-paced, technically diverse and rely on a close-knit, interdisciplinary team comprised of a Technical Project Manager, Systems Engineers, Mechanical Engineers, Electrical Engineers, Software/Firmware Engineers, Consumables Engineers, Industrial Designers, Product Development and Test Engineers. These teams work with Paramit’s world class manufacturing group to seamlessly transition our client’s products into manufacturing using our transfer-less process, which results in reduced time-to-market and fewer issues. At least a Bachelor’s degree in Mechanical Engineering, Biomedical Engineering or Bioengineering with a minimum of 10 years of relevant industry experience in life science instrumentation or diagnostic/medical device development. M.S. and Ph.D. degrees are highly preferred. Candidates with exceptional aptitude and experience from other fields or disciplines will also be considered. Technical mentorship/oversight on all concept development, designs, testing, etc. Proficiency with test and measurement equipment such as multi-meters, oscilloscopes, force/temperature/pressure gauges, calipers, micrometers, dial indicators, etc. As a Sr. Mechanical Engineer (ME) within Paramit’s Product Development Group, you will lead design and development efforts in a broad range of areas such as mechatronics, fluidics, pneumatics, thermal control, optics, chassis and enclosures for life science instrumentation, diagnostic tools and point-of-care devices, as well as their associated consumables/cartridges. The Sr. ME is a critical part of a cross-functional team that develops complex instrumentation for customers ranging from young start-ups to well-established companies. 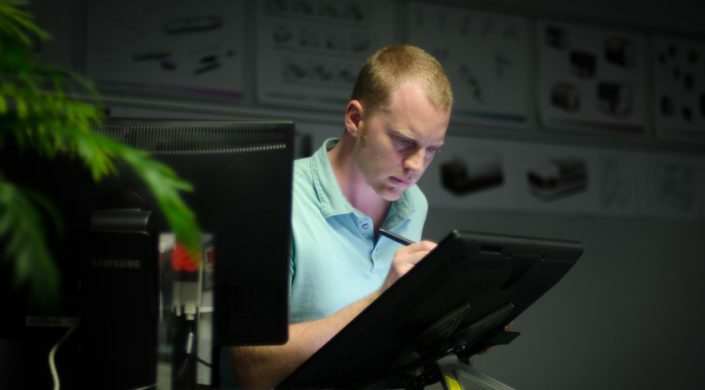 Projects are typically fast-paced, technically diverse and rely on a close-knit, interdisciplinary team comprised of other Mechanical Engineers and Designers, a Technical Project Manager, System Engineers, Electrical Engineers, Software/Firmware Engineers, Consumables Engineers, Industrial Designers and Product Development/Test Engineers. These teams work with Paramit’s world class manufacturing group to seamlessly transition the products into manufacturing using our transfer-less process, which results in reduced time-to-market and fewer issues. Analyze existing product requirements and specifications as well as generating additional specifications, where appropriate. At least a Bachelor’s degree in Mechanical Engineering, Biomedical Engineering or Bioengineering with a minimum of 8 years of relevant industry experience in life science instrumentation or diagnostic/medical device development. M.S. and Ph.D. degrees are highly preferred. Candidates with exceptional aptitude and experience from other fields or disciplines will also be considered. Experience with productivity, communication and analysis tools such as Visio, Teams, Project, ImageJ, R, JMP, Matplotlib, Mathcad and MATLAB. Experience with test and measurement equipment such as multi-meters, oscilloscopes, force/temperature/pressure gauges, calipers, micrometers, dial indicators, etc. As a Mechanical Engineer within Paramit’s Product Development Group, you will participate in design and development efforts in a broad range of areas such as mechatronics, fluidics, pneumatics, thermal control, optics, chassis and enclosures for life science instrumentation, diagnostic tools and point-of-care devices, as well as their associated consumables/cartridges. 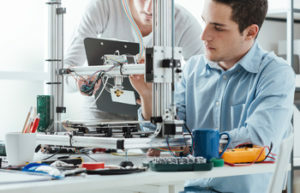 Mechanical Engineers are a critical part of a cross-functional team that develops complex instrumentation for customers ranging from young start-ups to well-established companies. Projects are typically fast-paced, technically diverse and rely on a close-knit, interdisciplinary team comprised of other Mechanical Engineers and Designers, a Technical Project Manager, System Engineers, Electrical Engineers, Software/Firmware Engineers, Consumables Engineers, Industrial Designers and Product Development Engineers. These teams work with Paramit’s world class manufacturing group to seamlessly transition the products into manufacturing using our transfer-less process, which results in reduced time-to-market and fewer issues. At least a Bachelor’s degree in Mechanical Engineering, Biomedical Engineering or Bioengineering with a minimum of 2 years of relevant industry experience in life science instrumentation or diagnostic/medical device development. M.S. and Ph.D. degrees are preferred. Candidates with exceptional aptitude and experience from other fields or disciplines will also be considered. The Technical Project Manager leads and manages entire technical teams (typical four to ten engineers) for scientific and IVD instrumentation and associated consumable/cartridge development projects. These teams will typically consist of engineers, scientists and specialists in a variety of disciplines such as systems engineering, mechanical engineering, fluidics/microfluidics, optics, electrical engineering, consumable development, firmware and software engineering, industrial design and biochemistry/molecular biology. This is a hands-on technical management role, providing direction, guidance and mentorship to team members as well as contributing to and approving system architecture and designs. The Technical Project Manager serves as the team’s primary point of contact for the client and is ultimately responsible for the delivery of the project’s technical content in a manner that meets or exceeds our client’s expectations. The Technical Project Manager must also ensure that the project is successfully executed within the overall constraints of the program, specifically the schedule and budget, with the help of supporting staff. B.S., M.S., Ph.D. or equivalent in an engineering discipline such as Bioengineering, Biophysics, Mechanical, Electrical or Biomedical Engineering. Advanced degree a plus. Excellent scientific and engineering knowledge and aptitude. Knowledge of FDA design control processes and quality systems. Understanding of the complete development process from concept development through manufacturing transfer. Prior IVD instrument experience through clinical trials a plus. Extensive experience designing, building, programming, testing and debugging of complex electro-mechanical, opto-mechanical, fluidic, microfluidic, electrical and thermal systems. Extensive systems engineering experience, system architecture development and risk analysis experience. Prior customer interface and presentation experience. A positive, energetic, can-do attitude. Proven ability to interact with key stake-holders to understand project scope and product requirements as well as resolve conflicts. Extensive experience with a majority of the following software tools: MS Office (Word, Excel, Project, PowerPoint, Visio), Atlassian (Jira, Confluence), SolidWorks, SolidWorks PDM (or similar PLM), LabVIEW, MATLAB, Python and Altium. The Senior Firmware Engineer will be responsible for all firmware development of a product development project. 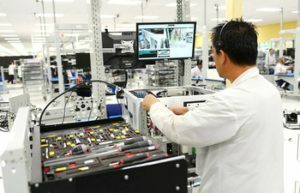 This position will work with a team of electrical, mechanical, optical, software engineers, and others to ensure all features of firmware have been implemented. This is including but not limited to firmware/software architecture, structural implementation, documentation, test and debug, verification and validation at system level as well as module level and manufacturing supporting codes. Participate in cross-functional team to develop firmware requirements. Generate approach / plan with time line to input to project management. Develop communication interface protocol between sub-systems and PC. Design firmware block diagram / flow chart for the firmware. Implement firmware design (coding) in C.
Test and integrate sub-system into system. Generate all required documents to transfer to production. Assist customer in getting product into production. MSEE (or related technical discipline) and 10+ years of directly related experience or BSEE (or related technical discipline) and 15+ years of directly related experience. May have another equivalent level of education and concrete experience. Experience with design and development of system control firmware for instrumentation of medical device or life science applications. Strong background in hardware, capable of extracting needed information for the firmware development from schematics and datasheets as well as providing feedback to HW design engineer to improve firmware control of system. Experienced in using a major commercial tool chain such as IAR, Keil, gcc, … for ARM embedded controller (preferably, the ARM implementation from ST Microelectronics). 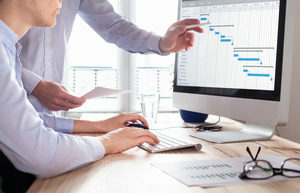 Analytical skills; written and oral communication; strong problem solving and troubleshooting skills; creativity to develop an original solution; ability to work in a cross-functional team; ability to work independently with minimal supervision; ability to estimate and negotiate project schedules with management and then adhere to those schedule; experience in design for testability, serviceability, and manufacturability. The Optical Engineer will be part of a small optics team and will be involved in all levels of product development for optics-related systems. 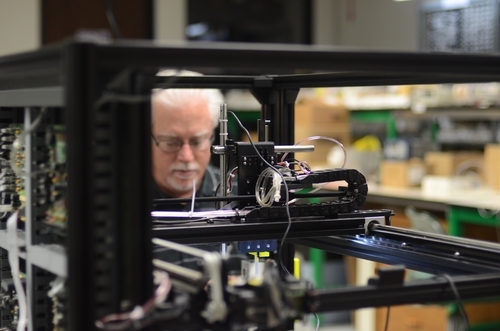 The level of work on a given project can vary from a few simple experimental tests for evaluating a new sensor to full product development, from R & D through design for manufacturing. 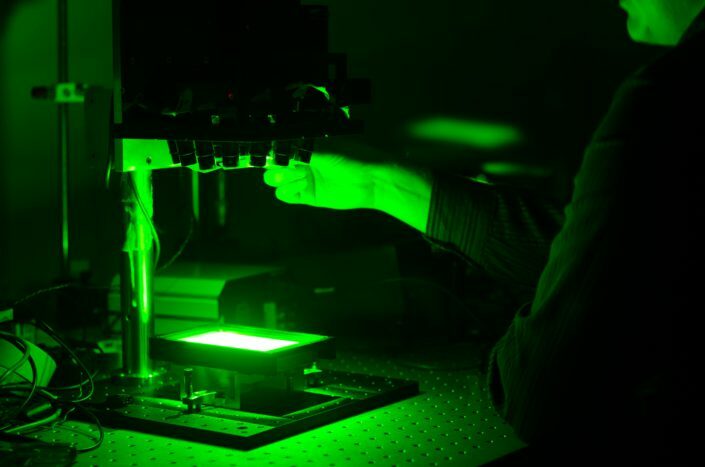 Through collaboration within a multidisciplinary team, the Optical Engineer will be expected to achieve solutions to various optical design challenges. He/she will also be expected to participate in systems-related activities such as identifying issues, developing requirements, participating in planning meetings, and presenting weekly progress reports usually in the form of powerpoint slides to show the optical design progress and to identify any outstanding issues and optics-related risks to the project to assist our customers in deciding which paths to take. 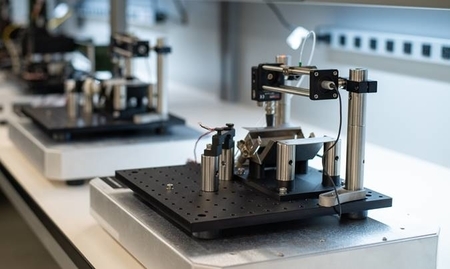 The Optical Engineer will generally be involved in component testing and system-related activities, and will not usually be involved in device-related activities: e.g. 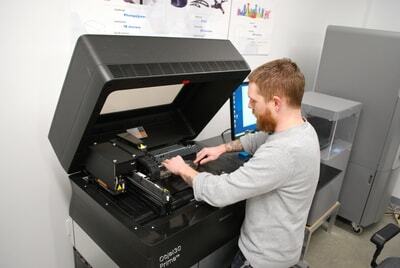 we are not in the business of designing lasers or spectrometers, but in using or specifying those devices to appropriate manufacturers to meet a need within the instruments we design. Technically lead and/or execute engineering projects with an optical emphasis. Present architecture design choices and tradeoffs to internal teams and to Customers. Will develop a broad background in many applications, as our contract work frequently varies across the optical subjects. Design optical systems, test mockups and design prototypes, oversee fabrication and assembly, conduct system level integration and testing. Define specifications and develop test plans and procedures for the optical systems. Work closely with multi-disciplinary teams and provide optical support to solve complex technical issues. Must possess excellent interpersonal and communication skills and be able to work in a multi-disciplinary environment. Must be a proactive self-starter and a team player and be able to thrive in a fast-paced, technically challenging environment. Technically lead and/or execute engineering projects, including development of key suppliers. Interface with internal and external customers regarding issues for specific projects. Provide mentoring for less experienced engineers and technical staff. Specify, supervise, or perform optical engineering analysis of complex scope. Define, coordinate, perform, and generate optical engineering test reports. Experience with: Instrumentation, and Medical devices are a plus. A formal education (BS, MS, or PhD) in optical design with 5-10+ years experience with hands-on optical design, build, and test, or 8+ years working in related fields. 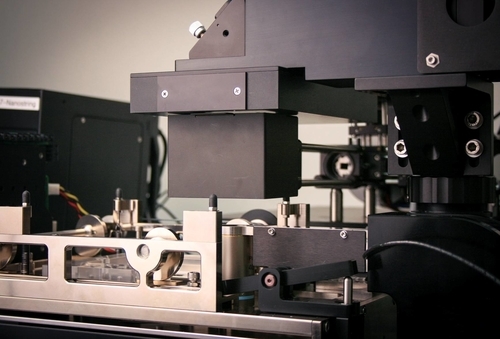 An opto-mechanical background is required due to how the engineer will integrate into the teams. Proficiency in relevant software packages: Zemax, a math program/programming language (MathCAD, Matlab, Mathematica, etc. ), MS Office suite, etc. 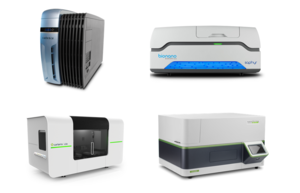 5+ years biomedical optical development including fluorescence, luminescence, microscopy, tolerance analysis, etc. As a Sr. Systems Engineer (SE) within Paramit’s Product Development Group, you will lead the generation of systems level requirements, specifications and architecture for new life science instrumentation, diagnostic tools and point-of-care devices, as well as their associated consumables/cartridges. You will also be responsible for risk assessment and mitigation, as well as systems integration, test and verification planning and execution for sub-systems, cartridges and complete instruments. The instruments we design typically encompass a broad range of sub-systems such as mechatronics, fluidics, pneumatics, thermal and optical. The Sr. SE is a critical part of a cross-functional team that develops complex instrumentation for customers ranging from young start-ups to well-established companies. Projects are typically fast-paced, technically diverse and rely on a close-knit, interdisciplinary team comprised of a Technical Project Manager, Mechanical Engineers and Designers, Electrical Engineers, Software/Firmware Engineers, Consumables Engineers, Industrial Designers and Product Development Engineers. These teams work with Paramit’s world class manufacturing group to seamlessly transition the products into manufacturing using our transfer-less process, which results in reduced time-to-market and fewer issues. At least a Bachelor’s degree in Biomedical Engineering, Bioengineering, Mechanical Engineering or Electrical Engineering, with a minimum of 8 years of relevant industry experience in life science instrumentation or diagnostic/medical device development. M.S. and Ph.D. degrees are highly preferred. Candidates with exceptional aptitude and experience from other fields or disciplines will also be considered. As a Product Development (PD) Engineer within Paramit’s Product Development Group you will play a critical role in the development of life science instrumentation, diagnostic tools and point-of-care devices, as well as their associated consumables/cartridges. The PD Engineer works closely with other engineers to design and build fixtures, breadboards and engineering prototypes. The PD Engineer would also own the operation and optimization of these systems to demonstrate proof-of-concept, mitigate risks and evaluate components/designs. 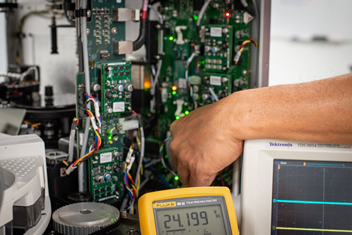 PD Engineers are part of a cross-functional team that develops complex instrumentation for customers ranging from young start-ups to well-established companies. Projects are typically fast-paced, technically diverse and rely on a close-knit, interdisciplinary team comprised of Product Development Engineers, a Technical Project Manager, Mechanical Engineers and Designers, System Engineers, Electrical Engineers, Software/Firmware Engineers, Consumables Engineers and Industrial Designers. These teams work with Paramit’s world class manufacturing group to seamlessly transition the products into manufacturing using our transfer-less process, which results in reduced time-to-market and fewer issues. At least a Bachelor’s degree in Biomedical Engineering, Mechanical Engineering, Electrical Engineering or Bioengineering with a minimum of 5 years of relevant industry experience in life science or medical device product development. M.S. and Ph.D. degrees are highly preferred. Candidates with exceptional aptitude and experience from other fields or disciplines will also be considered.